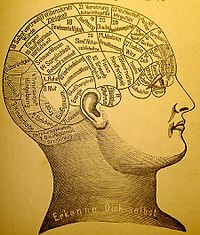 ^ 3.0 3.1 Dictionary.com网络词典： "mind": "1. (in a human or other conscious being) the element, part, substance, or process that reasons, thinks, feels, wills, perceives, judges, etc. : the processes of the human mind. 2. Psychology. the totality of conscious and unconscious mental processes and activities. 3. intellect or understanding, as distinguished from the faculties of feeling and willing; intelligence." ^ Wheeler, J. A. Point of View: Drive the Pseudos Out.... Skeptical Inquirer. 1979, 3: 12–13. ^ Kurtz, P. Is Parapsychology a Science?. Skeptical Inquirer. 1978, 3: 14–32. ^ Druckman, D. and Swets, J. A. eds. Enhancing Human Performance: Issues, Theories and Techniques. National Academy Press, Washington, D.C. 1988: 22. ISBN 0-309-07465-7. ^ Reuters. Telepathy gets academic in Sweden. CNN. 5 September 2003 [9 March 2009]. Despite decades of experimental research ... there is still no proof that gifts such as telepathy and the ability to see the future exist, mainstream scientists say. ^ Cordón, Luis A. Popular psychology: an encyclopedia. Westport, Conn: Greenwood Press. 2005: 182. ISBN 0-313-32457-3. The essential problem is that a large portion of the scientific community, including most research psychologists, regards parapsychology as a pseudoscience, due largely to its failure to move beyond null results in the way science usually does. Ordinarily, when experimental evidence fails repeatedly to support a hypothesis, that hypothesis is abandoned. Within parapsychology, however, more than a century of experimentation has failed even to conclusively demonstrate the mere existence of paranormal phenomenon, yet parapsychologists continue to pursue that elusive goal. ^ Bunge, Mario. A skeptic's beliefs and disbeliefs. New Ideas in Psychology. 1991, 9 (2): 131–149. doi:10.1016/0732-118X(91)90017-G.
^ Blitz, David. The line of demarcation between science and nonscience: The case of psychoanalysis and parapsychology. New Ideas in Psychology. 1991, 9 (2): 163–170. doi:10.1016/0732-118X(91)90020-M. The Mind is What the Brain Does - National Geographic article. Theory of Mind for artificial intelligence.